Showing 37 articles from August 7, 2013. 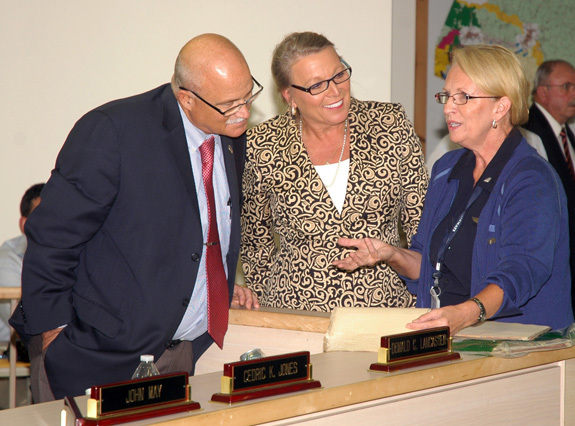 LOUISBURG — Commissioners agreed to offer incentives they hope will bring one business to Franklin County while keeping another within its borders. Based on their investments, the county agreed to offer White Street Brewing Company a $48,000 cash grant to put a distribution warehouse in the former Welsh Building on Park Avenue in Youngsville. LOUISBURG — Franklin County staff has secured a location, at least temporarily, to house historic documents that, for decades, have been kept in dark, dank and submerged conditions. Recently, the Heritage Society of Franklin County has made more vocal its concerns about the storage of documents at the courthouse, some dating back hundreds of years. Just a year ago, the historic Arthur Person house on the corner of the Louisburg College campus was becoming an eyesore. Now, after the snip of a ribbon marking the end of a months-long renovation, the house is a showplace -- and housing for several second-year honor students at the school. A miracle becoming a reality! LOUISBURG — Organizers of a baseball program for physically and mentally challenged children said their plans for an accommodating ball field are nearly complete. On Monday night, county commissioners agreed to disperse up to $145,000 needed to complete the first phase of the field for the Miracle League of Franklin County. 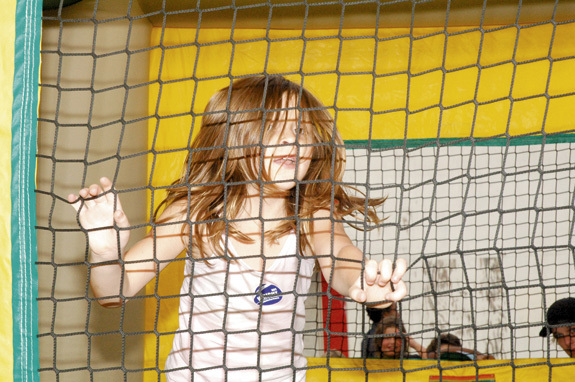 Above, Sara Maw, 7, is a jumping machine inside a bounce house set up along Main Street in Franklinton during its National Night Out festivities on Tuesday night. Complaints and a motor vehicle accident led authorities to arrest nearly 10 people in a drug investigation. According to a report by Det. Justing Hastings, officers had received numerous complaints about teenagers buying and selling drugs in the Youngsville and Franklinton area. As a result of the investigation, detectives allege Phillip Cody Brown, Forrest Morosky, John Lambert, Steven Kinton and Kenneth Carl Woodcock were involved in illegal drug activity. Ah-h-h-h, a mid-summer evening’s challenge. It’s almost a dream come true, with apologies to the Bard. One evening last week, I was fortunate to run into County Commissioner Sidney Dunston and Louisburg Mayor Karl Pernell at the same function — and they both issued the same challenge. That shouldn’t come as a surprise, because neither man is in the running for president of my nonexistent fan club as I’m sure you’ve suspected. A house is a house — except, maybe, when it’s so much more. 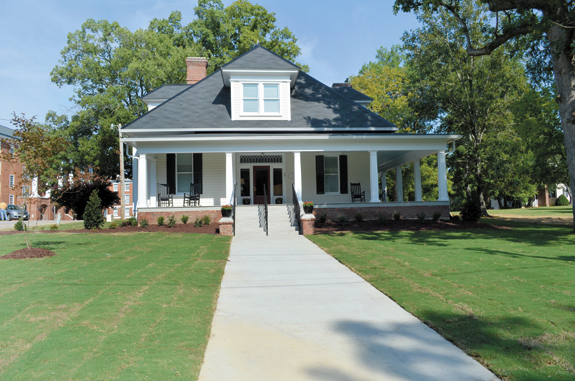 That was the impression we received at the dedication of the Arthur Person home on North Main Street last week when it became the E. Carroll Joyner Residence Hall on the campus of Louisburg College. The Arthur Person house, which happens to be next door to the historic Person Place, is an early 20th century home that was in terrible shape for years. Based upon recent headlines, people must be allergic to telling the truth. Or, they’re always the victim. It would be easy to say those comments were about Major League Baseball player Alex Rodriguez. And they would fit, considering that the sport has mounting evidence that the Yankee third baseman has been a willing cheat for years, using performance enhancing drugs. Who best represents your interests? 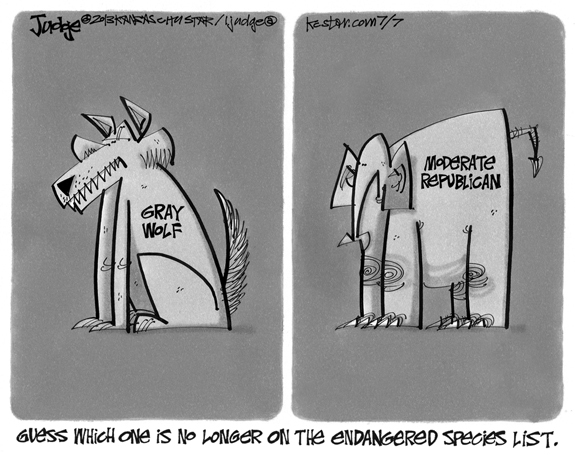 In 2011 the Republican controlled North Carolina General Assembly completed round one of voter suppression by segregating as many African-Americans into as few Congressional Districts as possible; resulting in the Republicans taking 9 of North Carolina’s 13 seats in the House of Representatives in the 2012 election despite losing the popular vote by a wide margin. Empty buildings yet nothing to talk about? Why does it matter if we know how many empty building there are? ENFIELD - Funeral services for Carson D. Johnson, 47, who died Sunday, Aug. 4, 2013, will be held at 3 p.m. Saturday, Aug. 10, at White Rock Baptist Church, with the Rev. Alonzo West officiating. Burial will follow in the church cemetery. FRANKLINTON — David Earl Wheless, 72, died Monday morning, Aug. 5, 2013 at his home. A funeral service will be held 3 p.m. Thursday, Aug. 8, in the chapel of Strickland Funeral Home with the Rev. Gary McNair officiating. Burial will follow in Flat Rock Baptist Church cemetery. LOUISBURG – Sadie Stone Burnette, 88, of Louisburg, formerly of Raleigh who left us peacefully on August 6, 2013, is now in the care of our Lord. Sadie was the daughter of the late Charlie Fisher Stone and Sally Hayes Stone. She was preceded in death by her husband, William D. Burnette; sisters, Rachel Taylor, Alma Gaskill, Martha Vaughan, Fannie Jane Stone and Gertie Ayscue; and a brother, Ransom Stone. 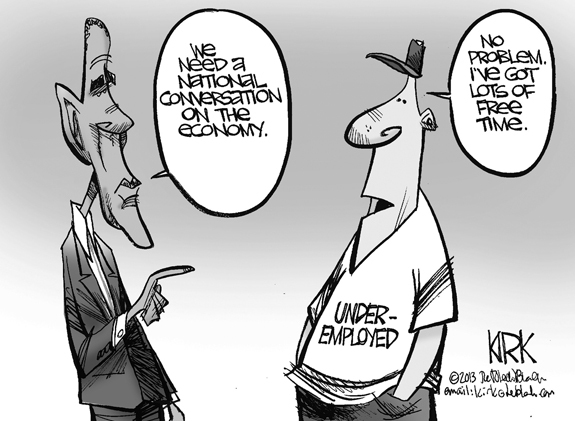 HE’S NO DUMMY. Bunn High School’s Jonathan Eatmon takes on a blocking dummy as assistant coach Steve Chromy oversees the drill during a recent football practice on the BHS campus. Eatmon is in the mix for playing time at quarterback. 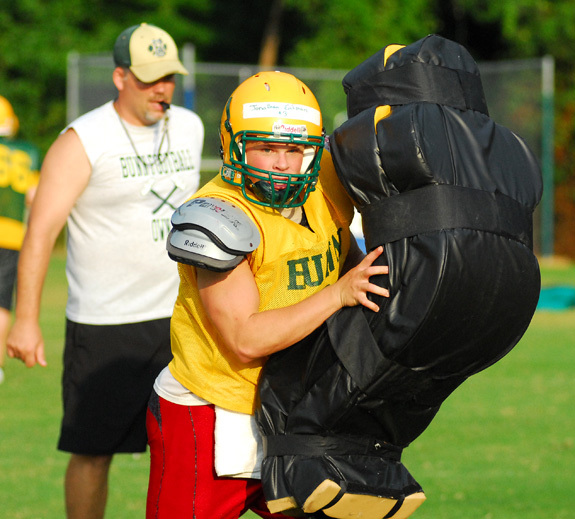 BUNN -- The last time the Bunn Wildcats were this young on the football field was in 2005, when BHS started slowly but eventually reached the Final Four of the Class 2-AA State Playoffs. GOT MY EYE ON YOU. 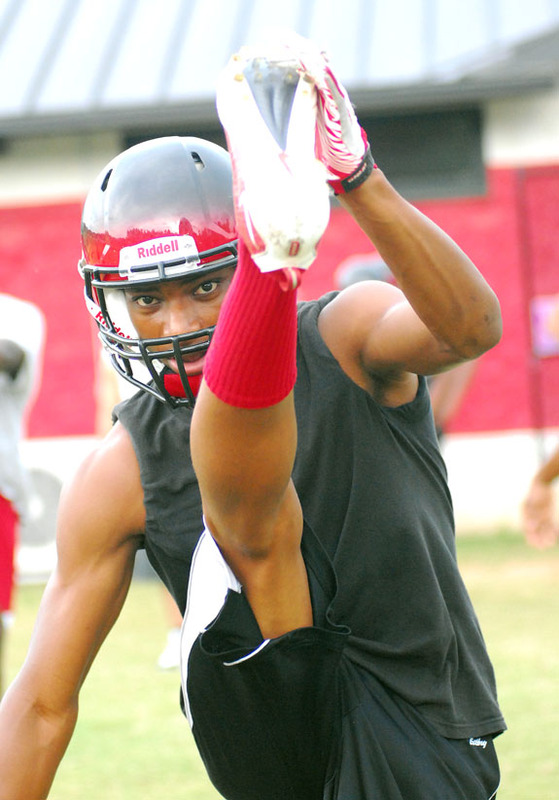 Franklinton High School’s Daquan Neal goes through a stretching drill as part of a recent football practice session at FHS. FRANKLINTON -- So much for the theory that Jeremy Buck might slowly work his Franklinton High School football team into a groove during last Thursday’s first day of fall practice. From the moment FHS’ players stepped on to the field, they undertook a grueling ‘County Fair’ drill that featured a challenging and demanding series of workouts. FLICK OF THE WRIST. 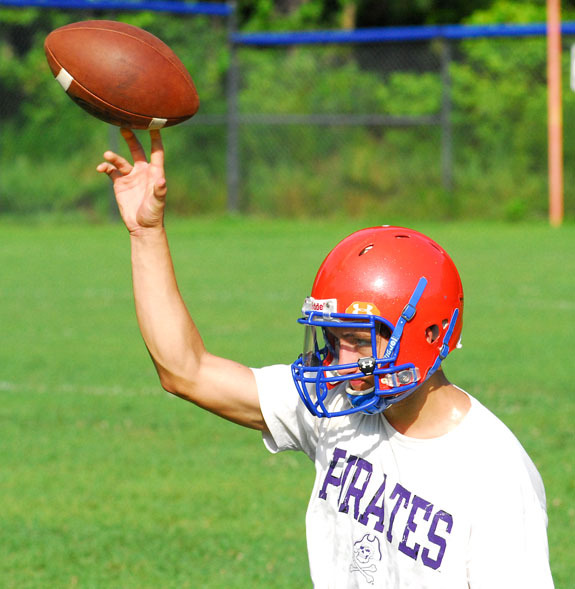 Louisburg HS quarterback Caleb Allen work on his passing form. LOUISBURG -- It’s back to the future for the Louisburg Warriors as they prepare to head into the 2013 football season. Due to the latest realignment by the North Carolina High School Athletic Association, Louisburg will be moving down from the Class 2-A Northern Carolina Conference to the Class 1-A Tar-Roanoke Athletic Conference. SIGN OF THINGS TO COME. 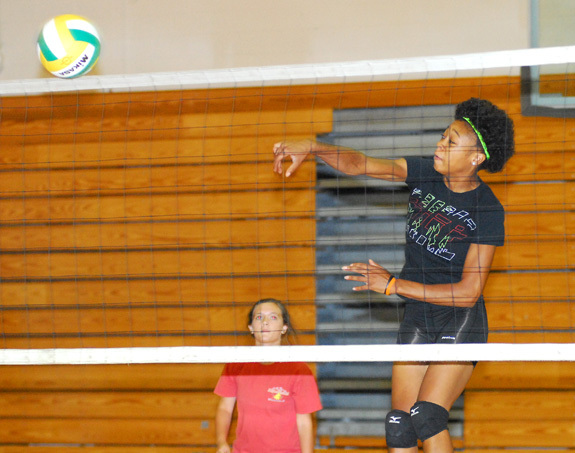 Bunn High School’s Tainasha Vines sends down a kill during a volleyball practice Tuesday afternoon at the Bunn Dome. BUNN -- Few Class 2-A volleyball leagues -- if any -- will be able to boast of a pedigree as lofty as the one the Northern Carolina Conference can claim this fall. Following the latest four-year realignment from the North Carolina High School Athletic Association, the revamped NCC features five clubs -- South Granville, Durham Arts, Southern Vance, Bunn and NC School of Science and Math -- that have either won or played for a state championship over the past 15 years. 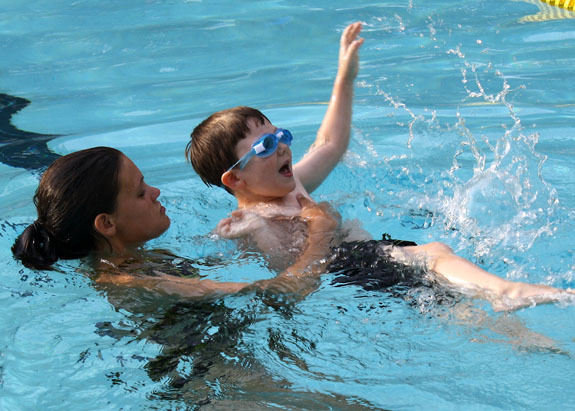 LOUISBURG -- The going joke around the Town and Country Pool these days is that Molly Boutwell has been around so long that she was coached by two people with the same name. Sure enough, Boutwell’s first coach with the TC Stingrays over 15 years ago was Jamie Edwards Wilson. And when Boutwell closed out her long career with the Stingrays last Thursday, she was coached by Jamie Edwards Cash. HARRIS WITH A HELPING HAND. Town and Country Swim Team member Cameron Collier (right) is assisted by Coach Kelsey Harris as part of his race during last Thursday evening’s conference meet. 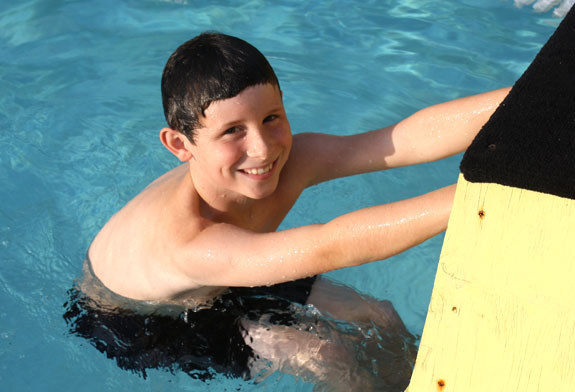 LOUISBURG -- Another successful season is in the books for the Town and Country Stringrays Swim Team. Town and Country, coached by Jamie Cash, wrapped up its 2013 summer schedule last Thursday evening by hosting the Franklinton Frogs. GREENSBORO -- The North Carolina Coaches Association has released its coaching list for the upcoming East-West All-Star Games in July of 2014. FRANKLINTON -- The new Franklinton Middle School will host a football camp and conditioning sessions on Aug. 14 and 15 from 6-7:30 p.m. each day. The event will be held at the Franklinton Middle School Football Field. GETTING GREAT MILEAGE. (L to R) Bunn High School cross country performers Haley Sheehan and Alexandra Caldwell add a few miles to their preseason workout drills during a recent practice. BUNN -- Distance runners at Bunn and Franklinton will be dashing into the unknown this fall in the revamped Northern Carolina Conference. Following the latest realignment by the North Carolina High School Athletic Association, FHS and BHS saw perennial league cross country powerhouse Corinth Holders head to the Class 3-A level, as opposed to the 2-A NCC. BUNN -- The annual Bunn High School Volleyball Alumni Day will be held this Saturday . The popular event will feature round-robin matches between past and present Ladycats’ players. Action will begin at 10 a.m. and run through noon at the Bunn Dome. All former players are welcome to attend. ROSEWOOD -- During his playing days at Bunn High School, Bobby Britt saw the Before and After of the David Howle Era that would eventually change the football landscape forever at BHS. 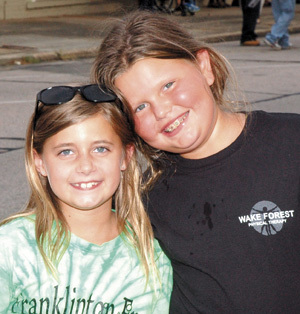 “I was playing at Bunn before Coach Howle got there, and I was still on the team when he got here,’’ Britt said. “I saw what he brought to the program. I saw the hard work and enthusiasm he had for building that program. ZEBULON -- Despite setting an all-time franchise record with 19 strikeouts and allowing 13 hits, the Carolina Mudcats were able to edge the Potomac Nationals 5-3 on Monday night at Five County Stadium. The Mudcats (23-18, 45-66) stayed in a first-place tie with Myrtle Beach Pelicans in the Class A Carolina League standings. 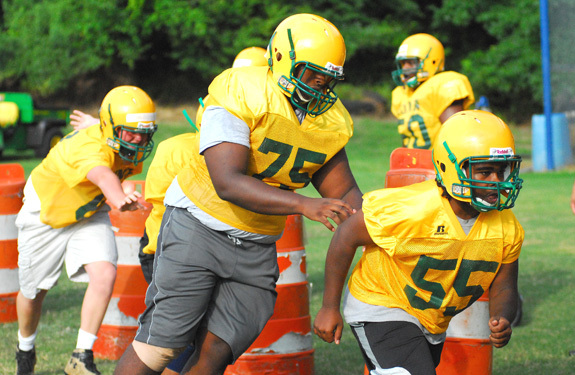 Bunn had developed several effective linemen through the years, and look for Ronnie Morrissette’s name to be added to that list. Morrissette (75) is the lone returning offensive starter this season for Coach David Howle’s Wildcats. Town and Country’s Parker Southall prepares for this event during last Thursday evening’s swim meet. 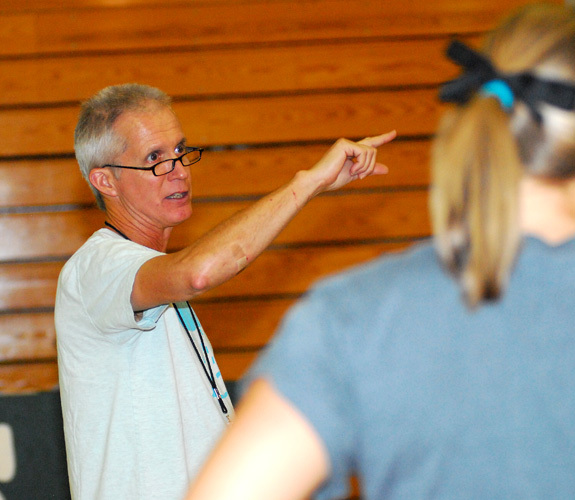 Bunn High School volleyball coach Henry Jones discusses strategy with his club during a recent spike practice session at the Bunn Dome. 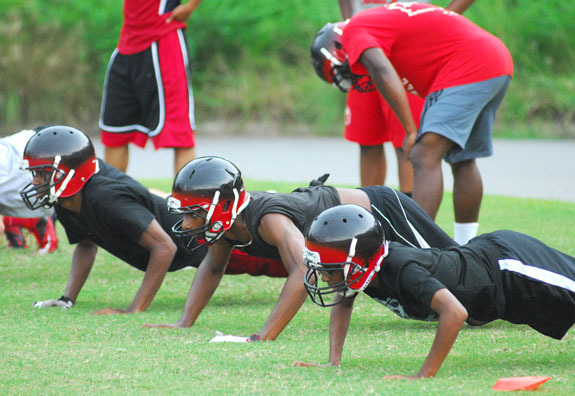 Franklinton High School’s football players went through a grueling and challenging series of drills as part of last Thursday evening’s first official day of fall practice. The Red Rams will host a jamboree this Saturday morning at the FHS Football Field. 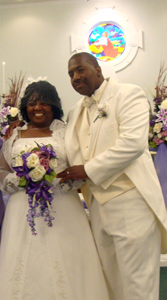 Brenda Louise Walker and Silous Junior Wilkins were united in holy matrimony on June 29, 2013 during a double-ring ceremony at the Gospel Unlimited Church of Christ’s Disciples in Castalia, with Bishop Johnny Alston officiating in the presence of approximately 200 friends and family members. The reception followed at the Forest Lake Clubhouse in Louisburg, where guests were served a traditional southern meal and wedding cake, which was designed by Harriett Pavon-Rosado. Allison Blackburn of Louisburg received her Bachelor of Arts degree in Exercise and Sport Science-Fitness Professional and Romance Languages — Hispanic Literature and Culture from the University of North Carolina at Chapel Hill in May. Ms. Blackburn is the 81st recipient of the Alston-Pleasants Scholarship, established by the late Missouri Alston Pleasants to recognize and encourage selected students from Franklin, Halifax and Warren counties. FRANKLIN COUNTY — A self-professed city girl, Elizabeth Crutchfield figured she would never be at home on the farm. The last two years, though, she’s made herself quite the fixture — attending the last two Horse Farm Tours hosted by the Franklin County Cooperative Extension. 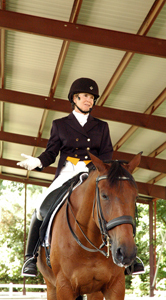 Pictured (Left): Karyn Becerra gave visitors a dressage demonstration.